California Wine Country is a wonderful destination for any type of vacation: mancation (a la the movie Sideways), kids trip (we had a ball on our family wine country vacation a few years ago), romantic retreat (it’s where my husband and I made the decision to start a family once upon a time), a girlfriends getaway, or, as the case may be, a sisters getaway. Check out my seven Napa Valley getaway tips to make the most of your vacation, no matter your travel partner. 1. Choose the right travel mate. 3. Make dinner reservations well in advance. 4. Pick the right wineries. 6. Look outside the wine box. Selecting the right person (or people) with whom to travel is an important part of any journey. I have long wanted to take a trip with my sister, Karen. My sister and I don’t get to see each other as much as we’d like; she lives in Minnesota and I live nearly 2,000 miles away in Southern California. When I was invited by Hilton Garden Inn to check out their lovely hotel in Napa with a guest of my choosing, I was thrilled that I could treat my sister to a fabulous getaway. She was the perfect travel mate for this trip. Whenever parents say they want their children to be close in age so they will grow up to be good friends, I internally balk. My sister is nine and a half years my senior and we are the best of friends. Sisters closer in age might fight over who gets the last bite of ice cream, which Barbie belongs to whom, and mirror time in the bathroom. Our age gap, however, enabled us to avoid such confrontations. I can remember us having two whole fights…ever. We shared a bedroom for the first four years of my life (which has caused Karen to be a lifelong deep sleeper). When we moved into separate rooms, I snuck my way into her bed most nights. I have always idolized Karen and she has always doted on me. She took me to the movies when I was a kid and bought me my very own popcorn and box of Dots candies. She even let me order whatever I wanted from the Dairy Queen menu (Peanut Buster Parfait!) and paid for it with her babysitting money. Ease yourselves into the languid Napa pace with a glass of local wine. After settling in to our side-by-side rooms at Hilton Garden Inn Napa, Karen and I felt obligated to pay homage to the gorgeous grapes growing all around us. We asked the woman at the front desk where we could go to sit outside and enjoy the spring sunshine while sipping a glass of wine. She sighed and said, “Doesn’t that sound lovely?” She recommended we check out Fume Bistro, and handed us a print-out of directions to the nearby restaurant. Every time I stay at a Hilton Garden Inn I am struck by how friendly the hotel staff is ~ the Napa location was no exception. When we returned from our first mission, we discovered a wine tasting was underway in the lobby. Who were we to argue with free wine? Complimentary wine tastings hosted by local wineries take place every Friday and Saturday evening at Hilton Garden Inn Napa. 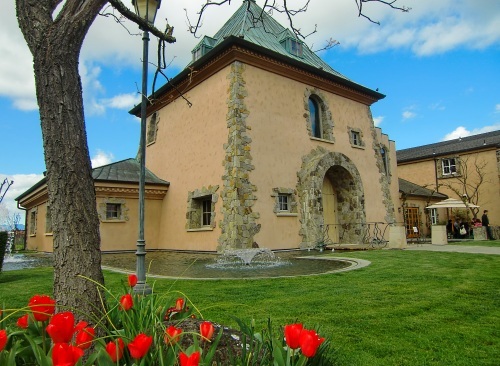 Napa is renowned for its wealth of restaurants serving stellar food, like French Laundry and the Culinary Institute of America at Greystone. Be sure to make dinner reservations before leaving home, especially for weekend meals. The most popular restaurants in the area book up well in advance. After freshening up and downing a bottle of water each, we joined our press trip buddies for dinner at Brix Restaurant and Gardens. If you’re traveling with a large group of friends, I recommend booking the Cottage, a private dining space for up to 30 guests with private patio and large windows that overlook their flower gardens, the Brix Vineyard and the Mayacamas Mountains. There’s also a smaller venue, the Reserve Wine Cellar, that seats up to 12. My wood-grilled filet mignon with spinach, mushroom bordelaise, and beet and horseradish puree tasted as good as it sounds. The next evening, Karen and I indulged in an elegant dinner at FARM at the Carneros Inn. FARM specializes in organic and sustainable locally sourced food and wines served in a modern setting. Service was incredibly slow but the food was delicious. My Carnaroli Risotto served with Maine lobster, preserved Meyer lemon and Parmigiano-Reggiano may be the best risotto I have ever tasted. With approximately 400 wineries in Napa Valley it can be hard to choose where to begin your wine tasting adventure. I suggest perusing options online before your trip and choosing those that offer a little something extra. On this trip we visited Peju Province Winery, where Wine Educator Scott Neuman greeted our group by saying, “Welcome to Peju where we believe hedonism is its own reward.” Peju offers tastings with humorous and informative commentary. It is also home to the Peju Gardens, filled with flowers bursting with color and flowing fountains. At the Hess Collection Vineyards, we enjoyed their Tour, Wine & Cheese Pairing. Nibbling the cheeses, chocolates and dried fruits in combination with the wines added depth to our experience. The Hess Art Collection is a modern menagerie of pieces procured by the winery’s owner, Donald Hess. There is no charge to wander through the on-site art gallery or gardens. Photography of any of the works of art, however, is prohibited. The winery’s gift shop is filled with a tempting array of souvenirs for purchase from wine charms to art books and beyond. While in Napa, it’s tempting to succumb to the lure of all things wine and overindulge by drinking too much (and purchasing too much wine to ship home)! Be sure to drink lots of water and to eat meals and snacks throughout the day. You should also designate a driver or hire a shuttle or limo for safety’s sake. Taxis can be hard to come by on Friday and Saturday evenings so plan to wait a while for your ride, or take an Uber or Lyft instead. While sampling wine is part of the fun of Napa, a raging hangover is not fun for anyone. With its rolling hills of verdant vineyards filled with twisted vines, Napa Valley is one of the most gorgeous places I have ever visited. 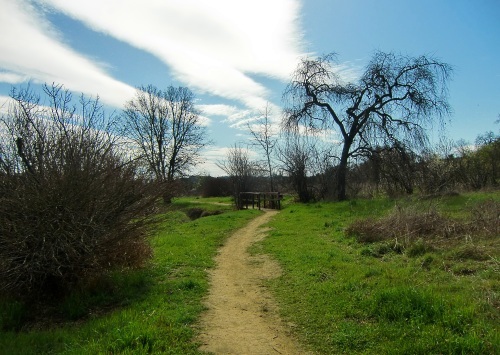 Explore Napa’s beauty with a hike through the Petrified Forest, the Armstrong Redwoods Natural Preserve, or through one of the many local hiking trails. Take in the view of the valley from the basket of a hot air balloon or visit Sonoma’s Cornerstone Gardens, where well-known landscape architects have designed an eclectic collection of garden patches. There is so much more to Napa than just wine! My sister and I took the long way back to the San Francisco Airport; crossing the famous Golden Gate Bridge instead of the Oakland Bay Bridge will add a half an hour to your drive but it’s worth it! By our third day together, our non-stop gabbing hadn’t even begun to slow. This was the first time since Karen got married 20 years ago that we were able to enjoy such glorious, uninterrupted sister-time. After we boarded the AirTrain at SFO, Karen and I realized we were headed to separate gates and therefore would need to say our good-byes before the next stop. The doors opened and we quickly hugged before Karen departed onto the platform. She turned and waved at me. I was silently congratulating myself for not crying during our good-bye. But as I stared back at the building while the train whisked me further and further from my sister, I had to wipe tears from my eyes. Even now as I type this, I am a sniffling, sappy mess. I don’t know when I will get to see Karen again, but I hope it is soon. If you could choose anyone to accompany you on a trip to Napa Valley, who would you pick? Let us know in the comments! Now you’ve made me a sniffling mess with such a beautiful recollection of our Sister Weekend!! I am glad I have a sister to share my day-to-day working, parenting, and life challenges and successes with by phone. And it’s even more fun to get time to bond IN PERSON. You are a gifted writer, a loving Mom, and a fabulous best friend. I am so proud of you. 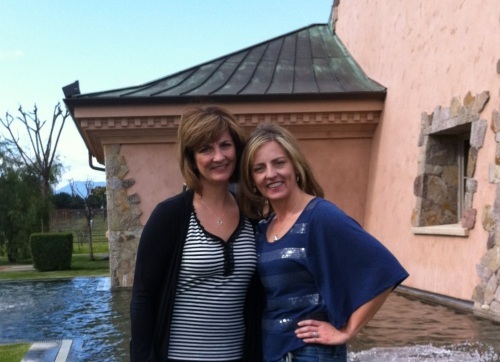 I’m very jealous…I have fond memories of Napa with you and look forward to spending time there with you again soon. 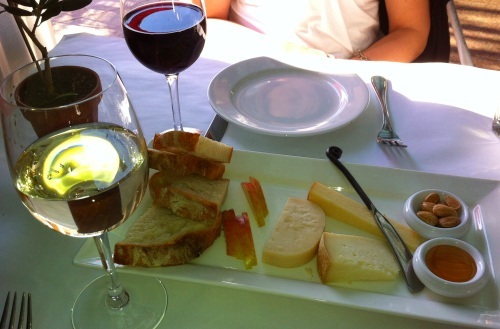 Good wine, good cheese, good view, and good company…what’s better than that? Awww! This turned out to be a very emotional post. Now I have to answer the question with someone who means the most to me. It would have to be my husband, and my children, and my mom, and my dad. OOOOH! its to hard to answer who to pick to accompany me on a trip to Napa Valley. So I guess we all go there. Angel – How nice to have so many people that you love so much in your life – I hope you all will be able to embark on a Napa Valley trip together someday! So happy to hear that you were able to do this with your sister – that time is so precious as we all grow up and have our families and life just takes over. I’ve done many family wine trips to Santa Ynez and Paso Robles but would love to do Napa with my husband – French Laundry here I come! 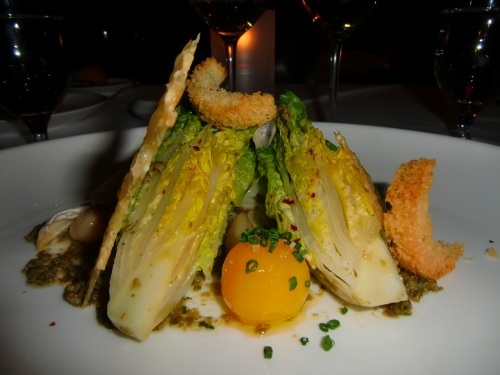 Kristi – Eating at French Laundry is on my bucket list. I hope you and your husband get to experience that famous restaurant someday!